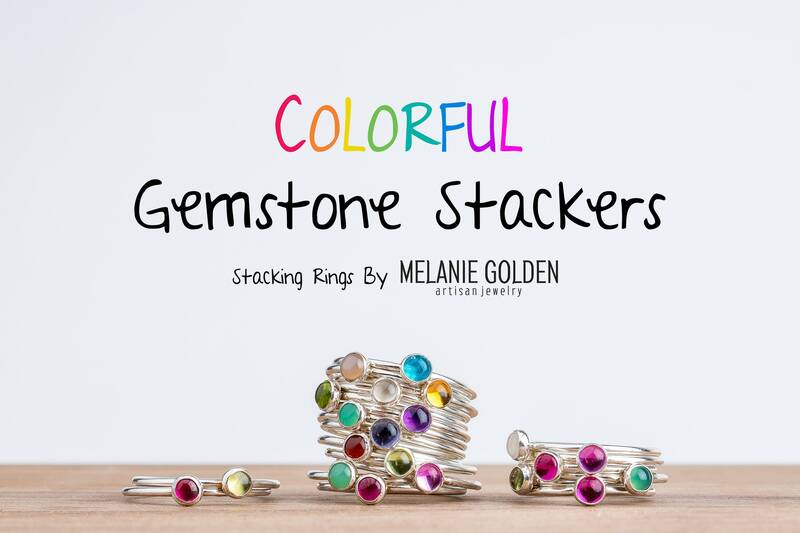 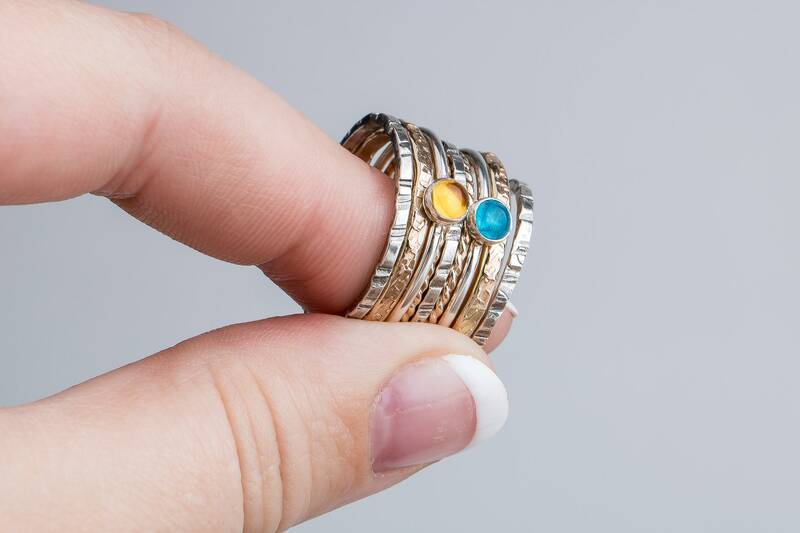 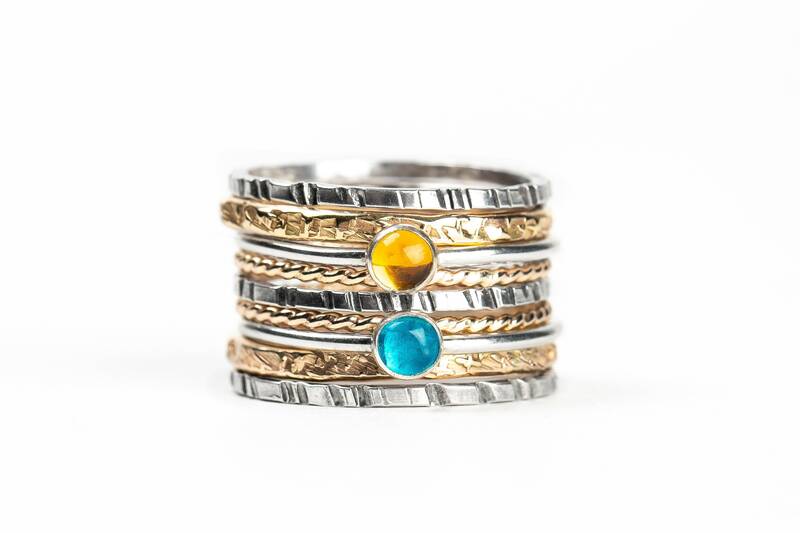 I created this colorful stacking ring set from solid Sterling Silver. 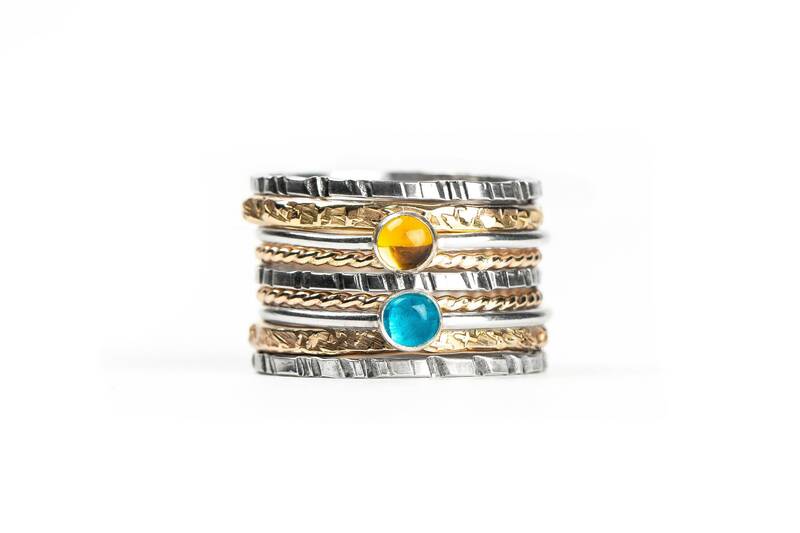 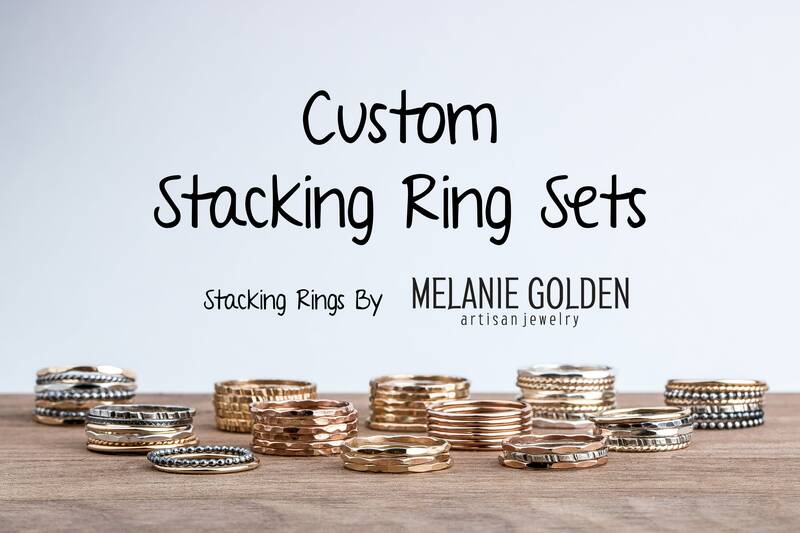 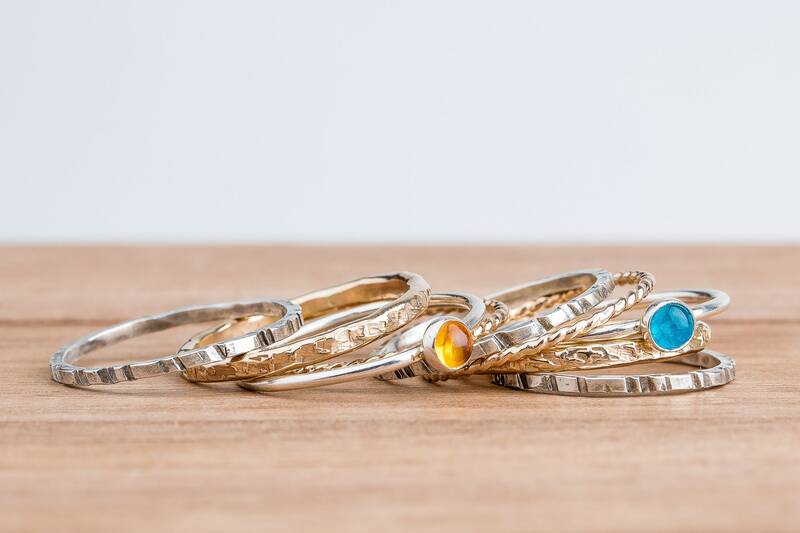 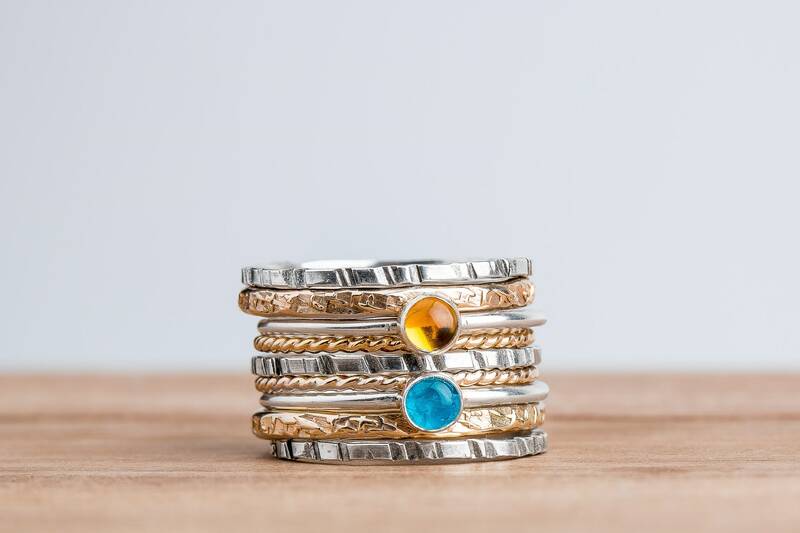 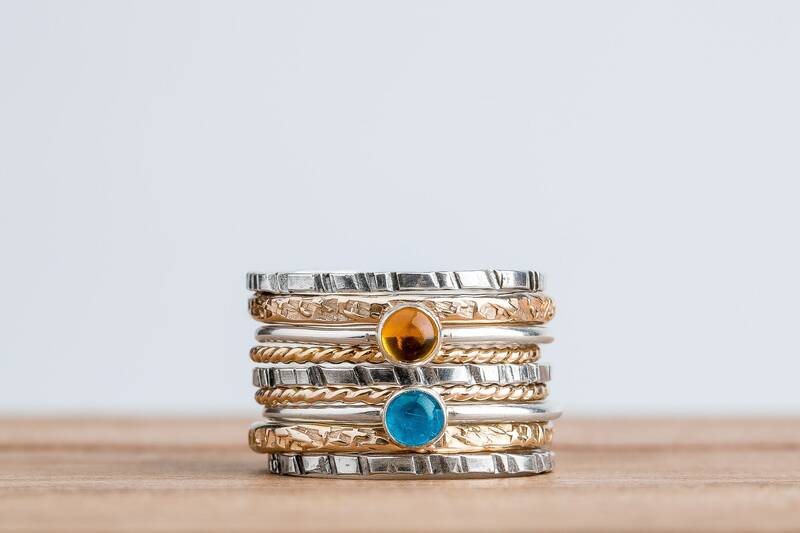 This listing is for a set of 9 rings: three sterling silver rugged stackers, two gold silk stackers, two gold twist stackers, and two gemstone stackers with a blue Apatite and yellow orange Citrine. 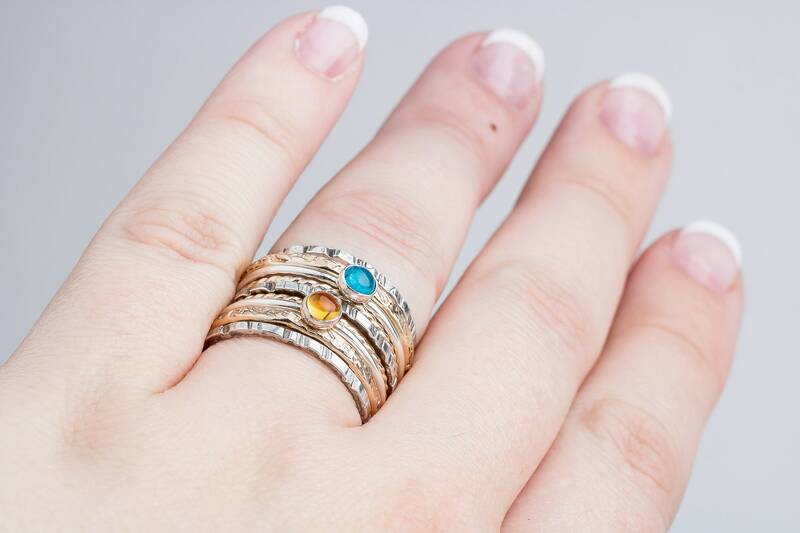 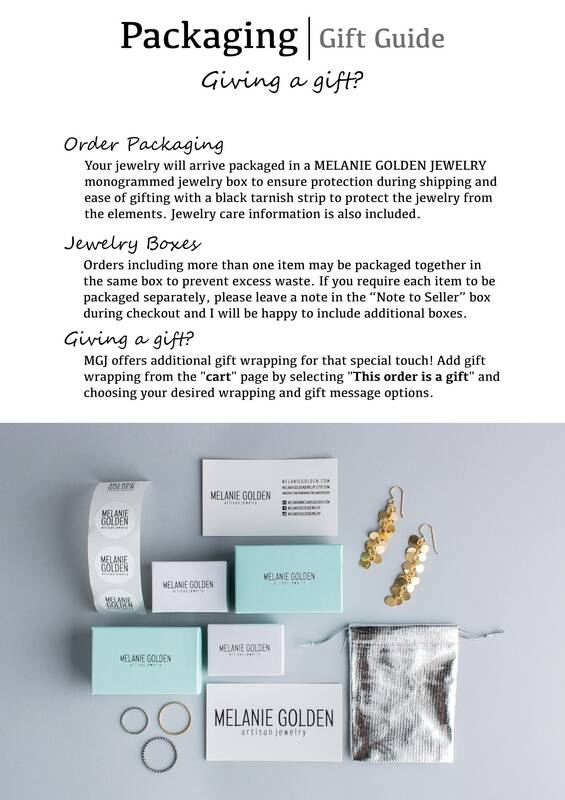 - Rings are made entirely from solid 925 sterling silver 14K Gold Fill, Apatite and Citrine.